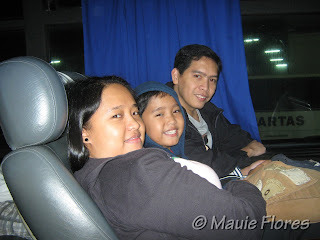 We lived in Santa Rosa, Laguna from 2001 to 2006. I loved the community we had there. Everything was slow, yet, serene. Not to mention the fresh air that greets us every single day. But we had to relocate because of my husband's job and, as hard as it was, we had to leave everything behind. It was only this weekend that I was able to visit the city again after a long time. It brought back all the good memories I had of Santa Rosa. 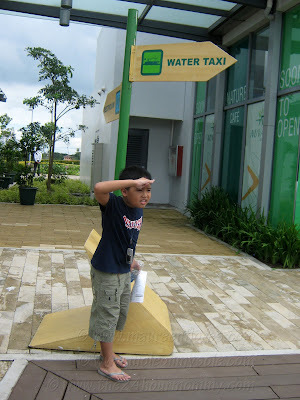 We were also able to visit the newest real estate development in the area, Nuvali by Ayala Land. 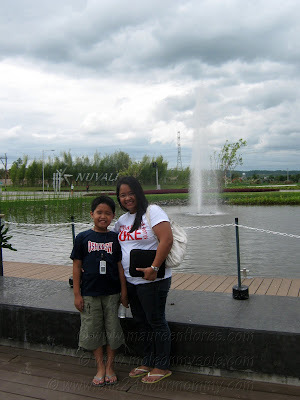 I felt more sad in leaving the place when I saw how Nuvali looked like. What was once an empty grass field has now bloomed into a beautiful commercial area. We initially planned to ride a water taxi and feed the Koi in the lake but we were informed that the schedule was 4 p.m. and we were there around noon. Nevertheless, we enjoyed hanging out and just enjoying the view. Restaurants like Itallianni's, Conti's, and Yellow Cab surround the lake and I can just imagine how lively and lovely this place it at nighttime. Yeah, I know... Grabe ang development sa South. Mayroon pa yang kasunod.. ETON City will be there soon. Nice of you to join, Mommy! oh i'd love to try the water taxi as well. Feel free to contact me should you be interested to know about residential properties in Nuvali. saw another entry about this place from Momi Chris of The Mommy Journey, and mukhang interesting ang place. somewhat similar to the lakeshore in pampanga. 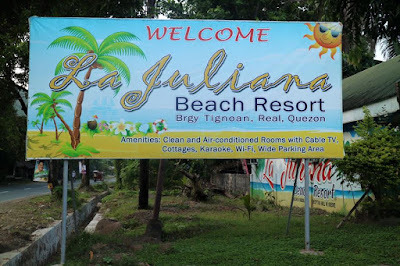 I just hope though that the local gov't of Santa Rosa will not allow unbridled development. They should maintain that sense of wide open spaces that we don't get a lot in Metro Manila. Hi Mauie. I was searching for Nuvali restaurants online and I came across this post. :) I'm planning to go to Nuvali with my family. 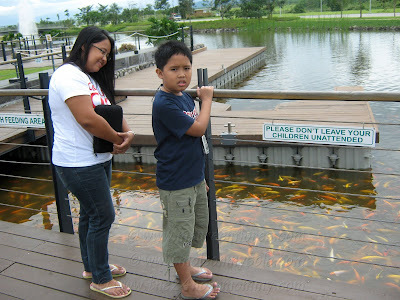 Yohan is looking forward to feeing the koi. I haven't been to Nuvali yet sa lakwatsera kong ito. Kelan kaya makapunta dyan?